On first inspection, you might be forgiven for thinking you were watching a scene from an over-the-top action film. A fighter pilot being chased by an enemy plane ejects himself from the cockpit and launches a rocket at the craft before landing safely back in his seat. Somewhat incredibly, this clip has attracted more than 5million hits on YouTube. 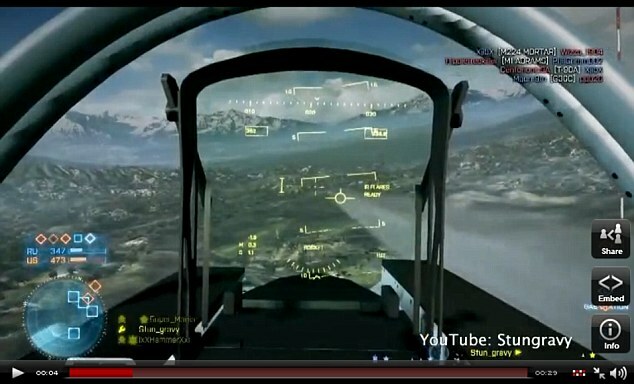 But perhaps more incredibly, the video was actually taken from someone playing a video game. 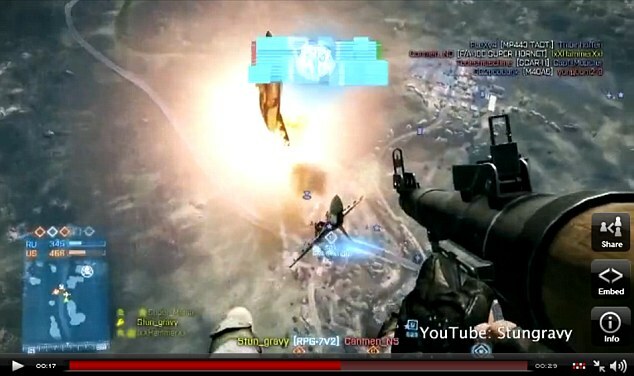 Battlefield 3 player RendeZook's 'daring' stunt has become a 'see-it-to-be-believed' spectacle among the gaming community, many of whom believe it could be one of the greatest ever feats pulled off in video game history. Rendezook has become somewhat of a gaming hero on YouTube, where millions of Battlefield players have viewed his stunt in awe and flooded online forums with praise. One gamer, Thomas Olson wrote: 'It's hard enough to even kill anybody in BF3, let alone pull off insane manoeuvres like this. While Eloy Sanchez posted: 'This can be practiced and repeated. Knife throws are random people throw them for hours and sometimes get a kill it is random by definition. I don't think at all this was a first try at all. 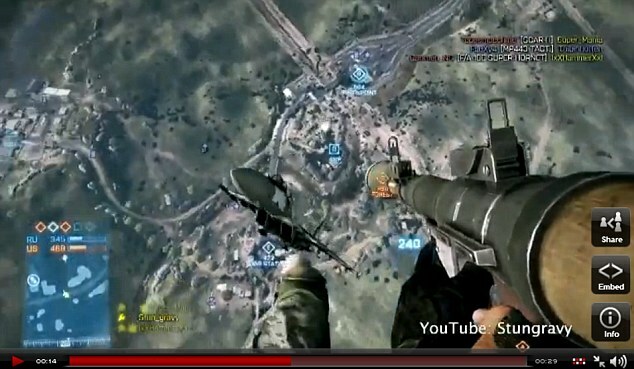 Players from all over the world play Battlefield fighting each other online on foot, in tanks or SUVs and flying choppers or jets, in opposing U.S. and Russia forces.